Samsung Galaxy Note 8 now official in the Philippines: Is this your next phone? The Samsung Galaxy Note 8 has been announced signalling the company's nail into the Note7 fiasco's coffin. The latest and greatest from the Korean giant gathered well-received praises with it donning the Galaxy S8/S8+'s design, Infinity display and chipset. 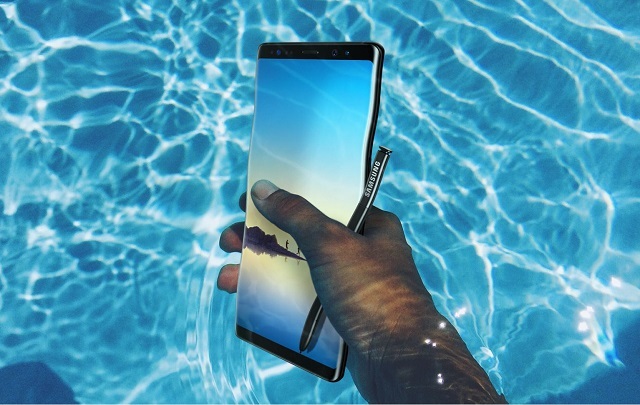 However, the Galaxy Note 8 has it's own unique tricks which could even persuade more enthusiasts to buy it instead of its older brethren. So let's start with the similarities. 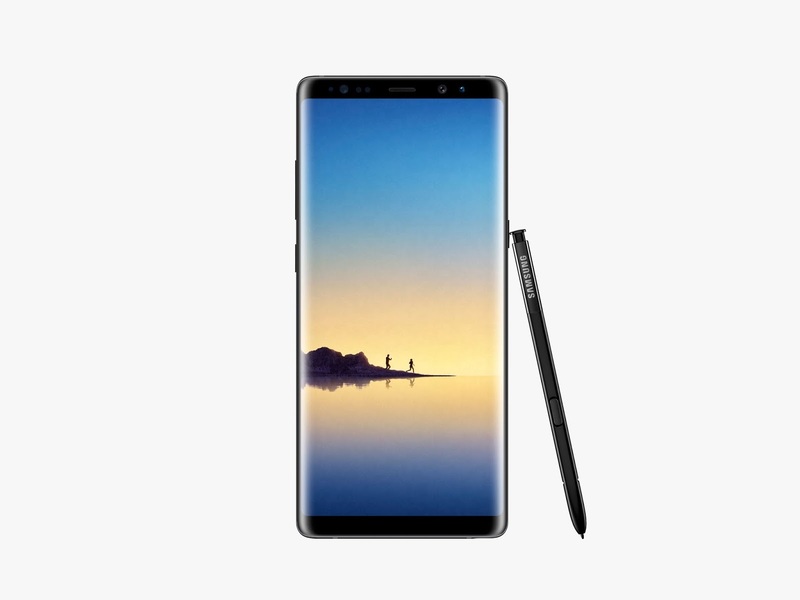 The Samsung Galaxy Note 8 is the first note to sport the Infinity Display; however, it's just slightly longer to the Galaxy S8+ with its 6.3-inch QHD+ panel so there's a negligible change in terms of display experience. Looking at it upfront, the chamfered edges are more subtle than the curvier Galaxy S8/S8+. We have seen curve-edge screen in the previous installments but Samsung is marketing its fusion of the "Note-worthy" screen real estate with the Infinity Display. Likewise, it ticks with the latest Snapdragon 800 mobile platform, the Snapdragon 835. The standard Note 8 packs 6GB of RAM and offers a choice among 64GB, 128GB and 256GB memory configurations. But if you need more room, you can expand the memory up to 256GB via microSD card. The battery pack is 3300 mAh which is slightly smaller than that of the Galaxy S8+. On top of the that, it also supports Wireless charging, and wired fast charging via USB Type C port. The camera module no has a dual-lens set-up. Both have 12MP sensor with the primary being the standard wide-angle shooter and the other is a Telephoto lens with 2x optical zoom. Both Galaxy Note 8's camera come with OIS which the company tags as Dual OIS. This means that photos and videos are clearer even when captured with shaky hands. It also comes with a Live Focus which is entirely similar to portrait mode of other handsets. However, the Note8 lets you adjust the blur effect during and after the photo is taken. There's also an 8MP selfie shooter for social media selfies. It also supports Bixby and Dex. The latter works even faster with the Galaxy Note8. The handset also lets you scribe personalized messages and render them with graphics. It's similar to what you do with iMessage but Samsung says these personalized messages is compatible with various messaging platform. 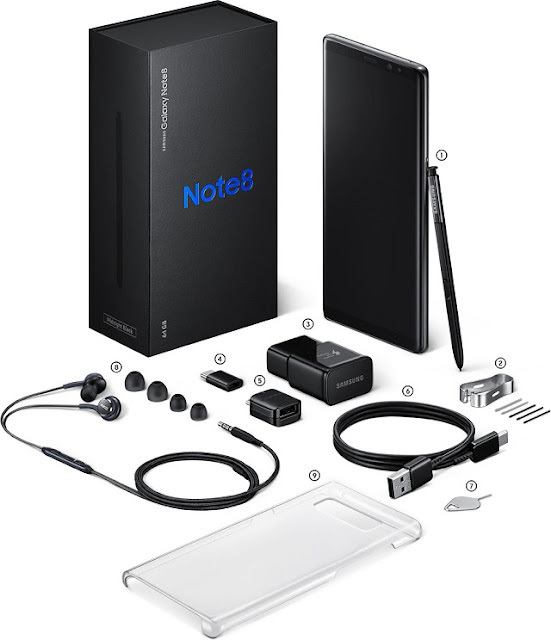 The Samsung Galaxy Note8 comes in Deepsea Blue, Midnight Black, Orchid Gray and Maple Gold at Php 49,995. It comes with AKG headphones out of the box.